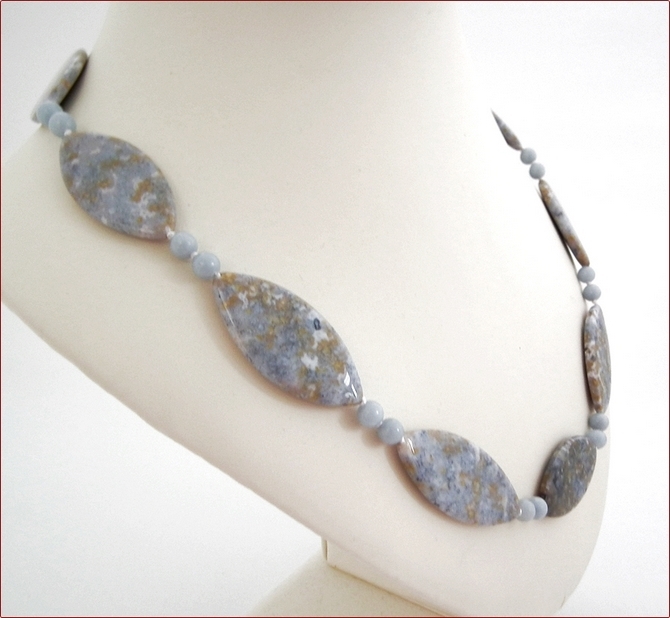 You can't fail but love the icy blue agates and angelites used in this necklace! 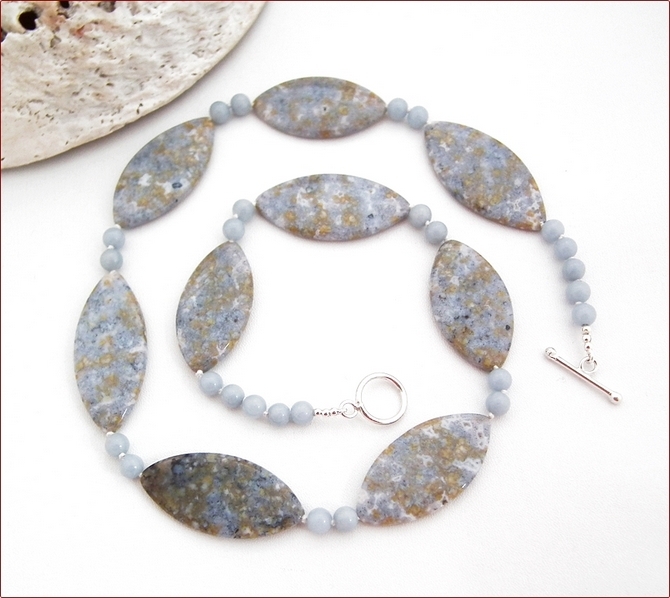 I've knotted between each of the stones using white nylon thread to keep it simple and let the stones speak for themselves. 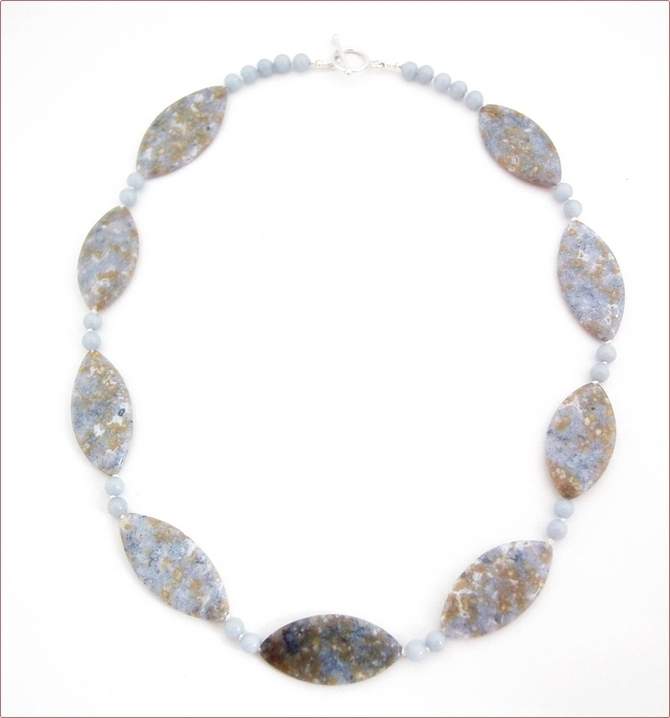 Each of the agate ovals measures approximately 4cm x 2cm and the angelite stones are 4mm. 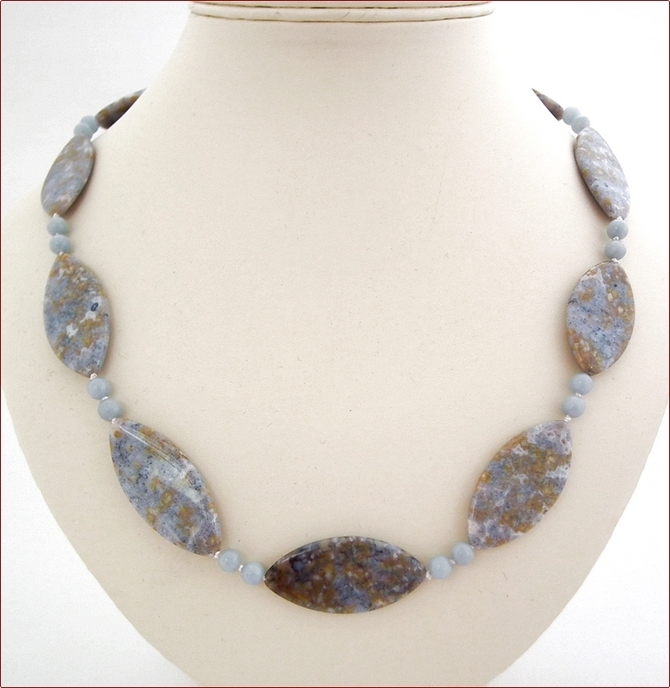 The necklace is 22.5" (565mm) and lies nice and flat. 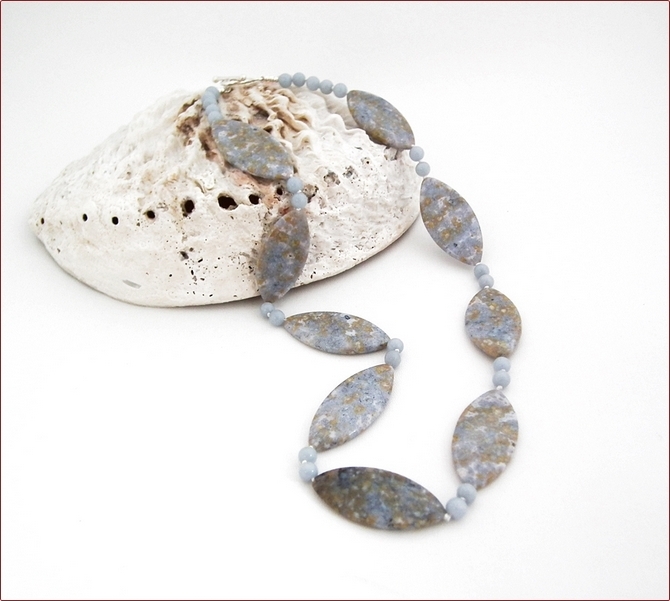 It's finished with a Karen Hill Tribe* toggle clasp. 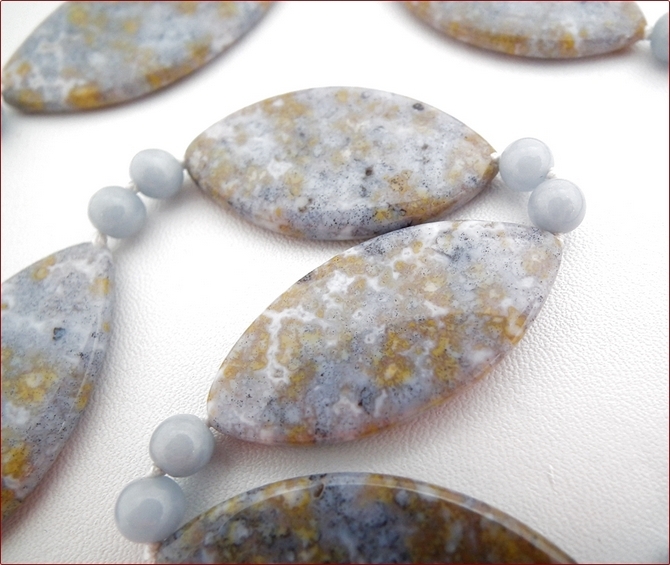 The markings on the agate stones are a very pale blue with white and sandy colours and put me in mind of the gentle wash of the sea on a fine sand beach. Style it with biscuit or mustard colours or, of course, blue. And if there's a touch of pink in the mix - that works too!